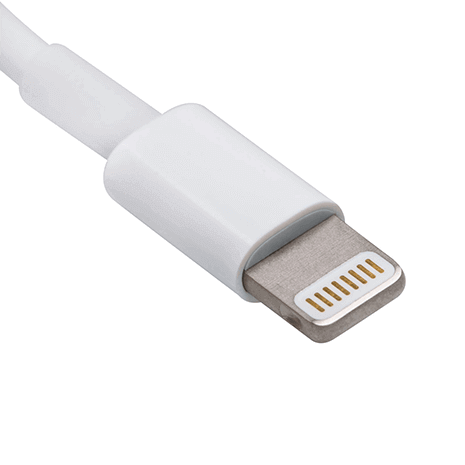 The Apple Lightning Cable is Apple’s standard charging cable for most devices including iPhones and iPads. 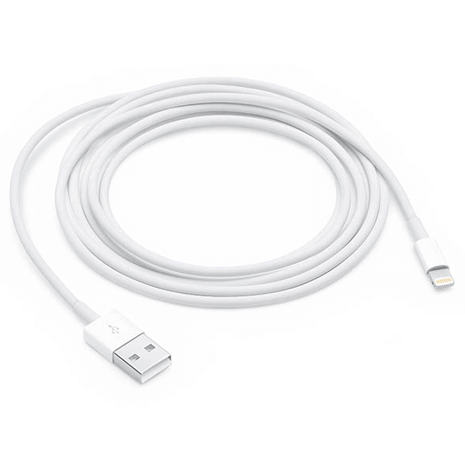 The Apple Lightning to USB cable can connect directly to your computer or laptop for easy charging and data transfers. It can also be used with any USB power adapter – such as the Apple 5W Adapter – for quick and efficient charging from a wall outlet. These Apple cables are exactly the same as you would have received with your Apple device or purchased from the Apple store – just at a fraction of the cost. The Apple Store retails this cable for £19.00. Digital Save price for the Lightning Cable is just £7.49. Exactly the same product minus the retail packaging and most of the cost! All of our stock is officially checked and verified and we guarantee that what you’re buying is an Official Apple Lightning Cable. We don’t sell fake or counterfeit products and have built up an excellent reputation over the years as a retailer you can trust. Please check out our verified reviews on Trust Pilot and Google. 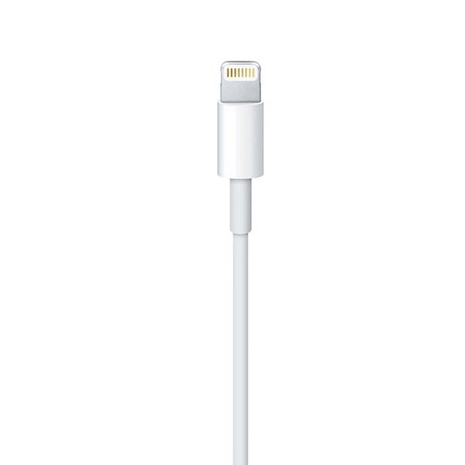 This iPhone cable is an official Apple product. Q. Is the Lightning cable for both charging and data transfer? A. Yes, the Lightning to USB cable is for charging and syncing. The 8-pin Lightning connector fits your compatible device and the USB 2.0 connector fits any USB enabled device such as laptops etc. Q. Is this a genuine cable made by Apple? A. Yes it is. The cable will be "bulk packaged", simply meaning it's not in expensive retail packaging and you save over 50% based on the Apple Stores prices. Q. Why is your Apple Lightning Cable so cheap? A. The Lighting Cable we sell is not retail packaged so you save a lot of money. From the Apple Store, a Lighting Cable will cost you £19, from Digital Save, the exact same Lightning Cable will only cost you £7.49! Our stock is all verified and we are a Google Trusted Store - so you can shop with assurance. Q. Is this cable for my iPhone X? A. Yes, this iPhone X Lightning Cable is exactly the same as the cable originally shipped with your device. Q. Is this the iPad cable that I need? A. Please double check the Apple Lightning to USB Cable compatibility chart to check if this is the correct iPad cable for your device. Q. Is this the best Lighting cable? A. 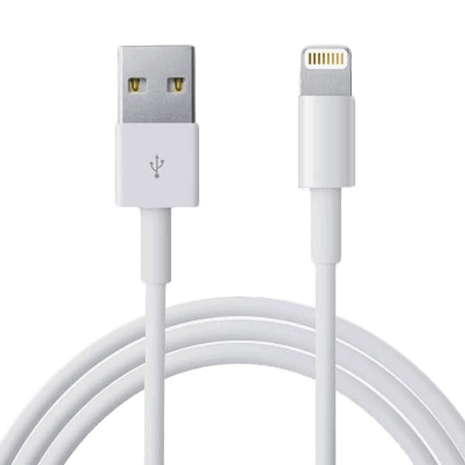 This is an Official Apple product - so yes, you could call it the best Lightning cable. Q. Do you sell any other 3rd party Apple Cables? A. Yes we also sell Lightning Cables from brands such as Belkin and KIT which are MFI approved. Purchased the cable yesterday just after 2pm and arrived today (Next Day) in the post, just asw fast as Amazon. Super service! Prompt service. Accurate description of product. Great saving.